Architecture does not only mean important and emblematic works. The fact is that we can find a building that catches our attention in any corner. Therefore, while I am preparing the next post –in which I will show you one of the most famous works of modern architecture-, I wanted to show you this little house. A few weeks ago I posted our road trip through Florida, which was a very fun journey full of unforgettable moments [see here]. Do you remember when I recommended you to go see wild dolphins? [Captiva Cruises] Well, that’s how we discovered Captiva Island, an idyllic place to spend a long vacation. There we could see one of the most beautiful sunsets of our trip, besides eating in a restaurant completely lined with dollars. Don’t you believe me? Then look for the Cantina Captiva, and you will see how this Mexican does not leave anyone indifferent. In fact, it was when we were on our way to this restaurant when we run into the pink door. As I said before, I leave you with the pink door while I work in the next post. 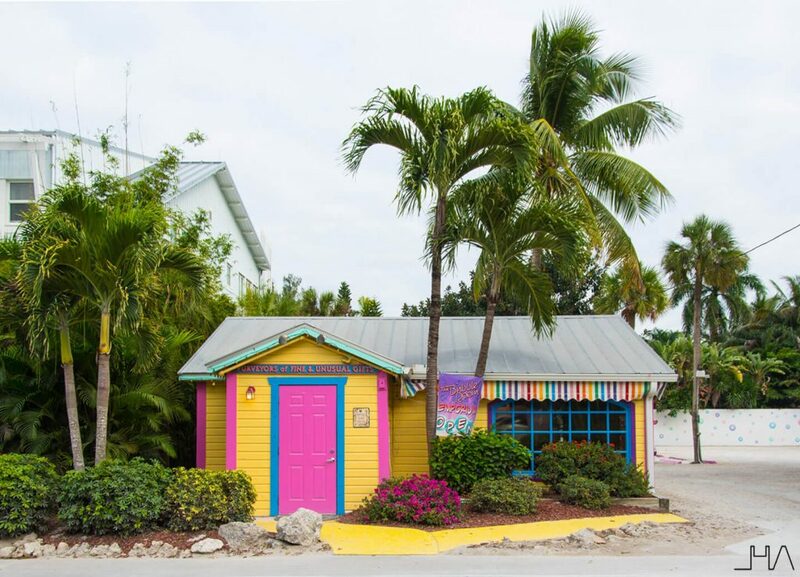 If you happen to visit Captiva Island, I’m sure you’ll find it.